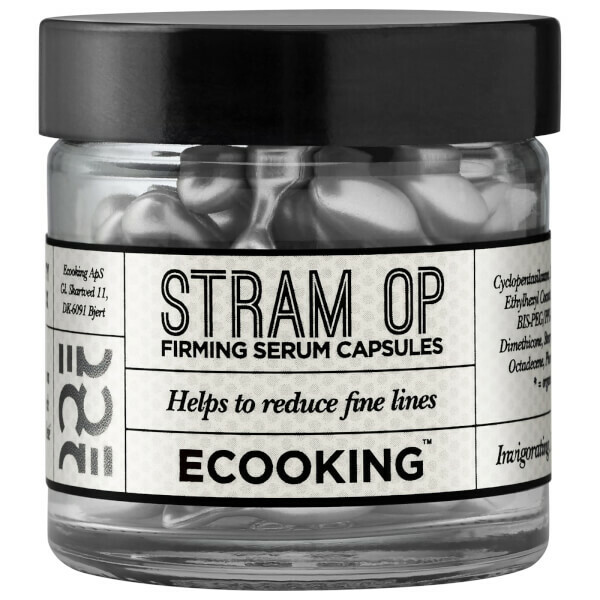 Improve the appearance of skin with Ecooking Firming Serum in Capsules. Encapsulated for maximum efficacy, each capsule contains a single dose of firming serum for day and night application. Infused with Hexapeptide, a natural Botox alternative, the anti-ageing serum delivers a firming and smoothing effect to help visibly reduce the depth of fine lines. With continued use, the serum will visibly improve the look of wrinkles for a youthful-looking complexion. as e.g. lines around mouth and eye area.